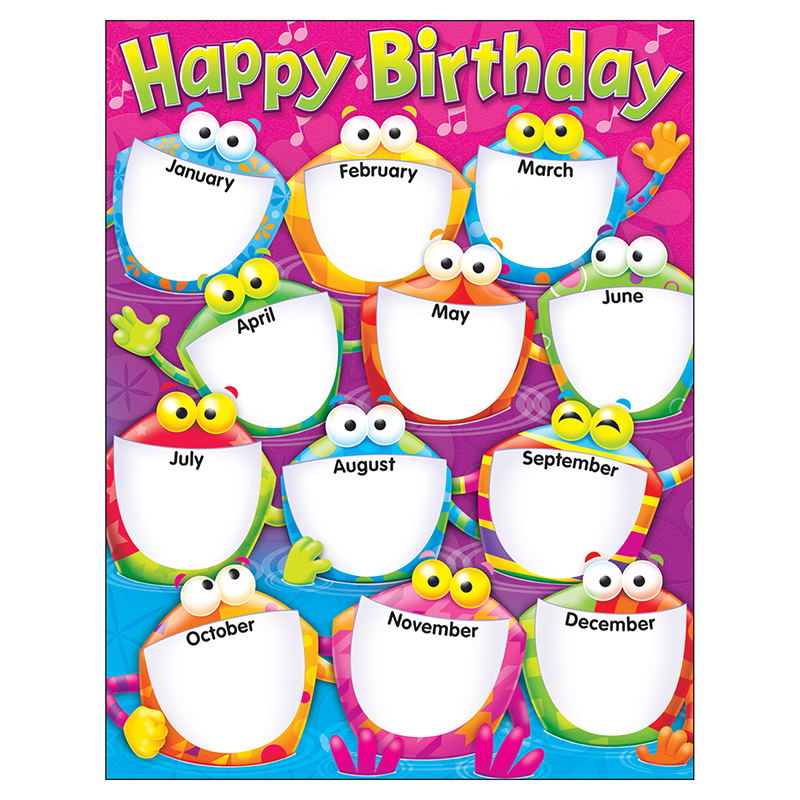 12 Festive frogs on logs are ready to celebrate birthdays each month. Back of chart features reproducible activities, subject information, and helpful tips. 17" x 22" classroom size.